MILLSBORO, DE – The race toward the 2018 American Racer Cup presented by Sunoco Race Fuels is on! As of this weekend, all 14 American Racer Cup tracks have hosted events and posted points on the board. A drivers’ 10 best finishes count toward the overall Modified and Sportsman championships. The overall title also uses bonus points based on average weekly car count to determine the final count. 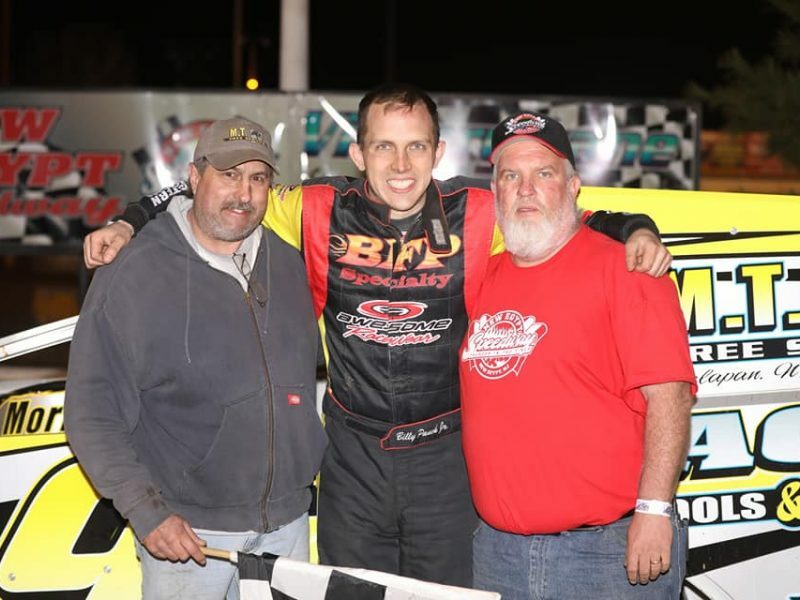 As of May 19, Billy Pauch Jr., representing New Egypt Speedway in New Jersey, leads the Modified standings over fellow NES regular David Van Horn and an emerging Matt Sheppard, who has four consecutive victories at Outlaw Speedway in Dundee, N.Y. In the Sportsman division, Outlaw Speedway’s Dale Welty is atop the points followed by Tom Collins Jr. occupying both second and third positions for his home tracks of Outlaw Speedway and N.Y.’s Five Mile Point Speedway. Memorial Day weekend marks a pair of ‘American Racer Cup Challenge’ races in conjunction with the Bob Hilbert Sportswear Short Track Super Series (STSS) Fueled By Sunoco. These events offer bonus points solely toward the American Racer Cup North and South Regional points sponsored by Insinger Performance of Dushore, Pa. The winner of these Challenge events receives 25 bonus points down to five points for those unable to qualify. The South Region for both Modified and Sportsman have the potential to earn bonus points this Thursday (May 24) at Delaware International Speedway in Delmar, Del., for the STSS ‘Diamond State 50’ event. North Region Modified and Sportsman racers have their first Challenge race on Sunday (May 27) during the ‘Lightning on the Mountain’ at Thunder Mountain Speedway in Center Lisle, N.Y.
Visit www.shorttracksuperseries.com for full information on the Delaware International and Thunder Mountain events. Insinger Performance Modified Regional point funds are as follows (paid to both North & South): 1) $1,000; 2) $750; 3) $500; 4) $350; 5) $250. Insinger Performance Sportsman Regional point funds are as follows (paid to both North & South): 1) $500; 2) $400; 3) $300; 4) $200; 5) $100. The regional cash is paid above the overall point fund distribution and home-track awards.